It has been estimated that 1,000,000 metal-on-metal hips were implanted in the United States. In addition, it has been estimated that there are approximately 500,000 modular stem/neck implants involving metal-on-metal parts. That means that there could be as many as 1.5 million individuals who are at risk for experiencing injuries and problems related to these medical products. To date, approximately 40,000 claims or cases have been brought against various manufacturers of metal-on-metal and modular hip implants. These lawsuits have yielded in excess of $4.4 billion to compensate the victims. 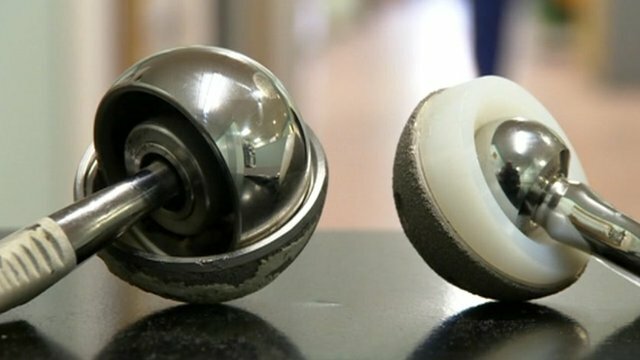 It is anticipated that many other individuals who were surgically implanted with metal-on-metal hip replacement products will eventually sustain injuries and require revision surgery. Those individuals will need to hire competent attorneys to represent them in their defective product cases, so that steps can be taken to protect their rights. For example, the patients who file lawsuits against the manufacturers are under an obligation to preserve and protect the chain of custody for the surgically removed hip products, so that experts will have access to those products during the litigation. A competent hip replacement attorney will know the proper steps to take to obtain and preserve the explanted products following the revision surgery, and file a lawsuit in the appropriate Court. Interestingly, several of the manufacturers of metal-on-metal hip replacement products used famous athletes as their national spokespersons in their marketing campaigns. For example, Wright Medical used former champion tennis player, Jimmy Connors, as its spokesperson in ads promoting its hip replacement products. Likewise, Biomet used former Olympic gymnast, Mary Lou Retton, in ads promoting its metal-on-metal hip replacement products. Both former national spokespersons now have lawsuits pending against these manufacturers. It is recommended that individuals with metal-on-metal hips who have not yet experienced medical problems should nevertheless have regular bloodwork done to check for elevated levels of cobalt and chromium. In such cases, the patients’ orthopedic surgeons will often order an MRI to look for signs of tissue destruction around the hip implant. When patients have elevated cobalt and chromium in their blood and/or radiologic evidence of tissue destruction surrounding the hip implant, their orthopedic surgeons will often recommend revision (removal) surgery. Even though settlements have been reached in many of the cases filed against the manufacturers of metal-on-metal hips and modular hip implants, lawsuits continue to be filed in the Courts. The defective product attorneys at Suthers Law Firm have represented more than 50 individuals who were surgically implanted with metal-on-metal hips in lawsuits against DePuy Orthopaedics, Stryker Orthopaedics and other manufacturers of hip replacement products. The law firm has successfully resolved a large number of these cases, and continues to investigate and pursue cases on behalf of individuals who have suffered injuries as a result of defective hip replacement products. If you or a loved one believe you have suffered injuries as a result of one of these hip implant products, or your orthopedist has recommended revision surgery to remove the defective hip replacement product, contact the experienced defective product attorneys at Suthers Law Firm on our toll free number, 1-800-320-2384, or complete and submit the contact form on this website, for a free consultation.